A is for AMIRISU. I don’t do a great deal of summer knitting but I loved this season’s issue and I’d love to knit Summer in Norway one day. B is for BRONZE. 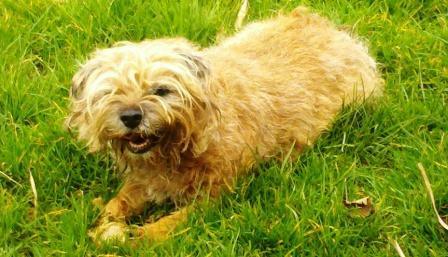 I was very taken with a bronze border terrier by Rosemary Cook. I’ve seen Briar sitting and looking up and me just like that. C is for CUPIDO COWL. 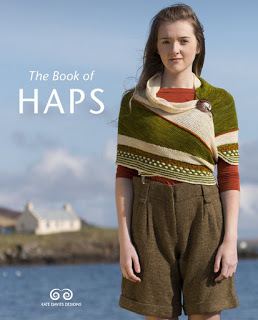 I’ve had this pattern for a while, I thought it would be the perfect pattern to use the yarn that was this year’s subscription gift from Rowan, but I am tempted by a pattern from the 40th anniversary book that would only take a few balls more. I have to resist, because I don’t lack garments but I do lack something to keep my neck warm in cold weather that doesn’t flap about. D is for DOROTHY DUNNETT. 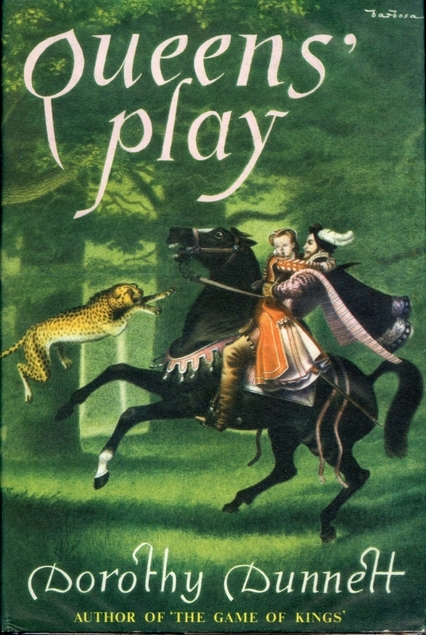 I’ve told myself that I really must write about ‘Queen’s Play’ before I start reading ‘The Disorderly Knights’. E is for END OF THE CENTURY. The books that are calling me at the moment aren’t falling into empty years in my 100 Years of Books Project, so the end of the century has been put back from the end of this year to sometime next year. F is for FIVE TELEGRAMS BY Anna Meredith and 59 Productions – I was captivated by the sounds and the lights. G is for G B STERN. When I put ‘Another Part of the Forest’ back on the shelf I just had to pick up ‘Trumpet Voluntary’, her next volume of autobiographical writing. H is for HONEYCOMB by Khaja Bonet – a lovely recent addition to the soundtrack of my life. I is for I WISH PEOPLE WOULD REMEMBER TO RETURN LIBRARY BOOKS. It is very dis-spiriting when you look up the book that really out to have arrived by now and find that it is out and was due back a month ago; or when you look for a book, you find that there is one copy in the county and that one is out and was due back last December. J is for JOHN JULIUS NORWICH. I’ve picked up bits and pieces of French history from my reading over the years and I’ve always wanted a book to help me fill in the gaps; a book with substance that’s accessible, and I think that ‘France: A History: from Gaul to de Gaulle’ by John Julius Norwich might be the one. K is for KEEPING ONE EAR OPEN. Just because she’s asleep you shouldn’t think that Briar isn’t alert! 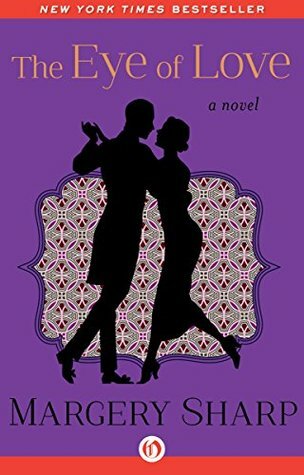 L is for LADY AUDLEY’S SECRET by Mary Elizabeth Braddon. I listened to a dramatisation on Radio 4 Extra, and now I’d love to revisit the book. M is for MAKE ME A BOX! The Man of the House has followed the Virago Secret Santa with great interest for many years, he decided to do something similar for my birthday and he asked me to do something similar for his next weekend. N is for THE 1944 CLUB. It’s still some time away, but I am going to recommend reading ‘Cluny Brown’ or ‘Green Dolphin Street’ and tell you that I have a book by Emily Hahn lined up. 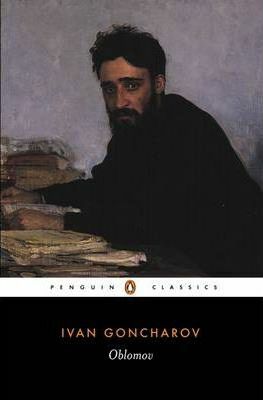 O is for ‘OBLOMOV’ by Ivan Goncharov. I like what I’ve read but I’ve drifted away, and that feels strangely appropriate given the nature of the title character. 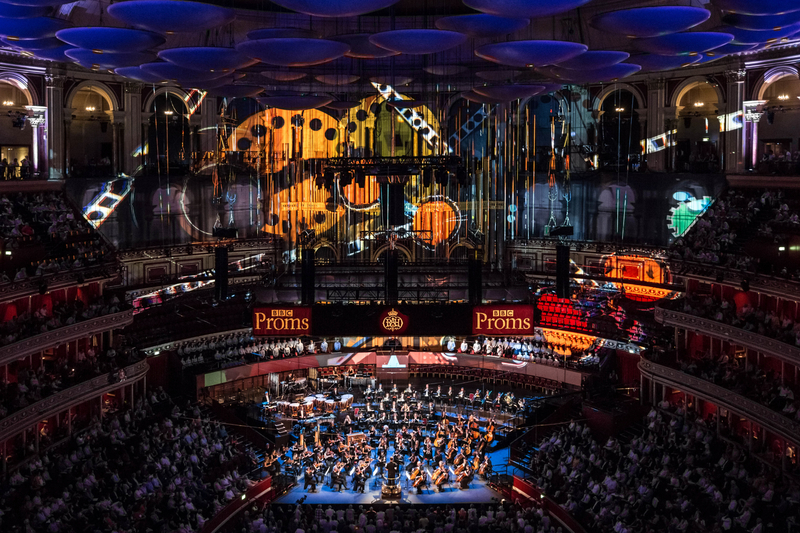 P is for PRIVATE PASSIONS on Radio 3 is always a joy, when I listen my expectations are always high, but recent programmes with Audrey Niffenegger and Lauren Child surpassed them. R is for ROSALIND LYONS HUDSON. A recent discovery. 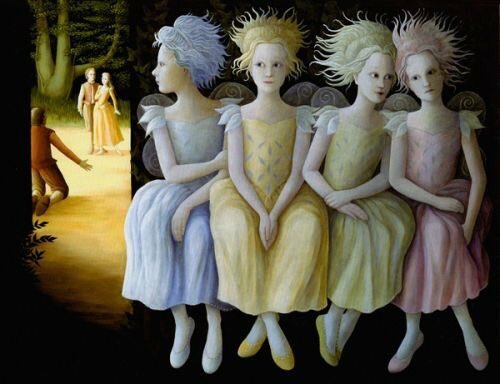 I’m not sure that I can say I love her art but it does pull me in. S is for THE SALT PATH: A MEMOIR by Raynor Winn – a wonderful book and it was lovely to hear the author speak at my local Litfest. T is for TROLLOPE. I have begun reading ‘The Last Chronicle of Barset’ and I am captivated. 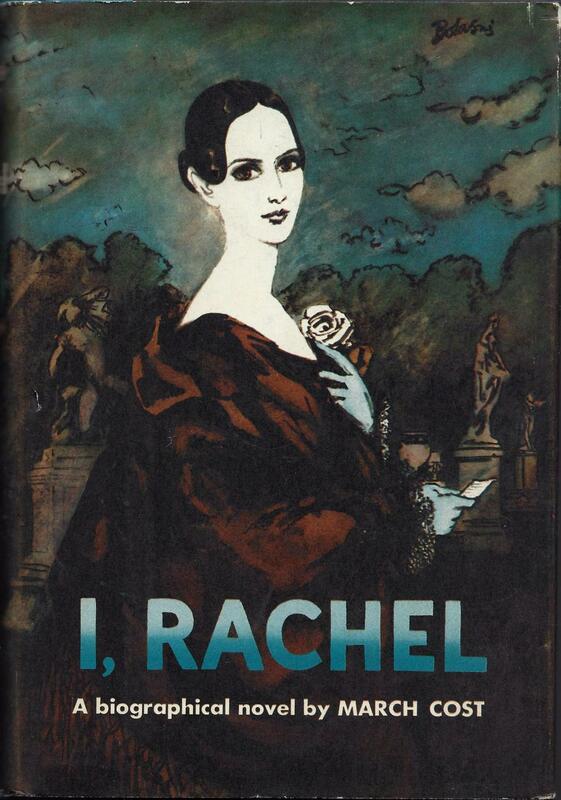 U is for UNDERAPPRECIATED LADY AUTHORS. 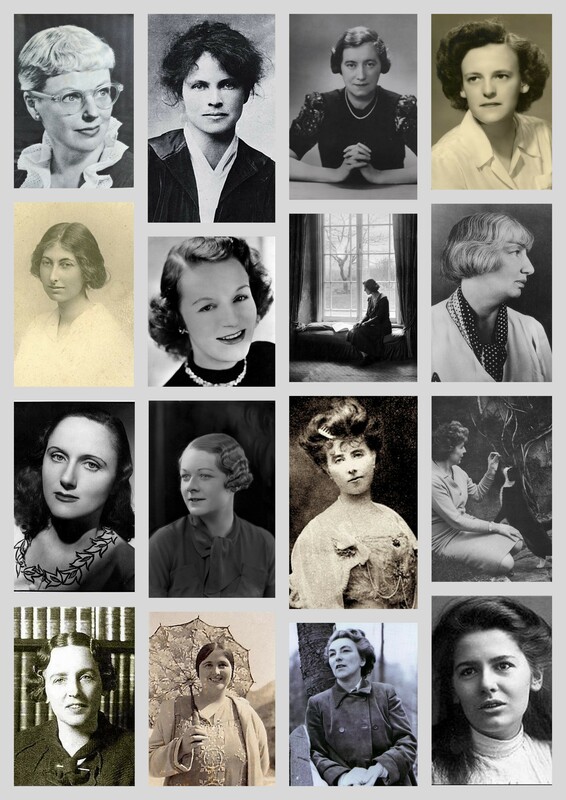 The next two authors in the Birthday Book may not as underappreciated as many on the list but could definitely be appreciated by many more readers – Elizabeth Von Arnim an 31st August and Mary Stewart on 17th September. V is for VERY VIRAGO ALL AUGUST. 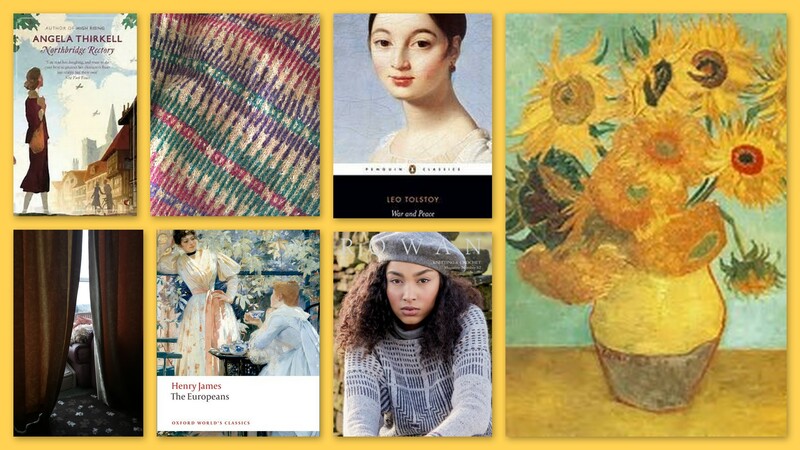 The LibraryThing Virago Modern Classics group has ‘All Virago All August’ is rolling along. I can’t do ‘All’ but I’m aiming for ‘Very’. I’ve read one of the newer VMCs by Patricia Highsmith, I have a couple more books from the list lined up, and I sthall endeavour to write about books by Molly Keane and Winifred Holtby that I read last month. W is for WAITING IN THE LIBRARY QUEUE. I’ve advanced from 26th to 13th in the list of readers waiting for a copy of ‘The Death of Mrs Westaway’ by Ruth Ware in the last month, so I should have a copy to read in early autumn. X is for XHIBITION. 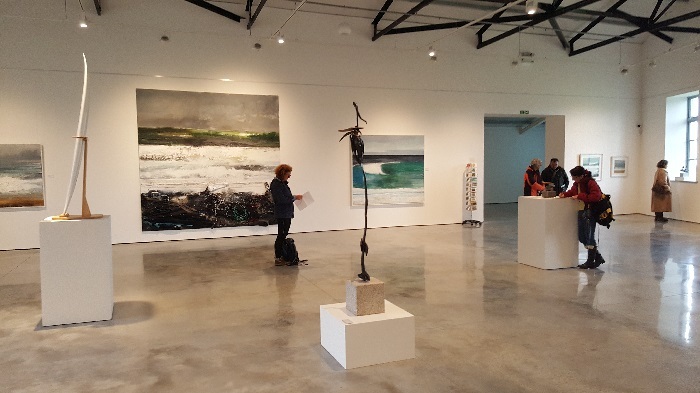 If you are in Cornwall month you really should visit the ‘Scilly’ Kurt Jackson Foundation in St Just. Local art in a wonderful space, there is a lovely cafe/bookshop just around the corner, and the town car par is free …. Y is for YASMIN LACEY. A voice that has fitted to my life’s soundtrack this summer quite beautifully. I’ve been reading Margaret Oliphant, I’m reading Amber Reeves, and I may fit in another books before the Persephone Readathon hosted by Jessie @ Dwell in Possibility draws to a close. What I lack is time to think and write about them. I might get there in time but, just in case I don’t, I thought I would do what I often do at times like this. A is for AMOURS DE VOYAGE by Arthur Clough. This will probably be the next Persephone book I read, as I need a book from 1858 for my ‘100 Years of Books’ project. C is for COMING SOON. ‘Despised and Rejected’ by Rose Allatini, ‘Young Anne’ by Dorothy Whipple and ‘Tory Heaven’ by Marghanita Laski will all be published in April. 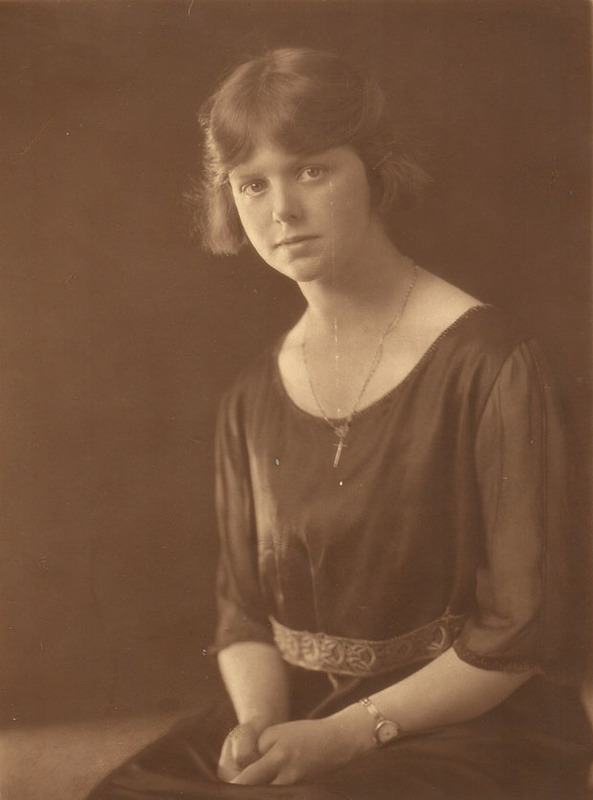 D is for DOROTHY CANFIELD FISHER, one of a select bank of authors to be published by both Virago and Persephone. E is for EARTH AND HIGH HEAVEN by Gwethalyn Graham. I have an old edition, and it is one of a small collection of books that I chose to sit on top of my Persephone Bookcase. F is for FRANKIE BARNABY, the young narrator who finds that she has much to learn in ‘Hetty Dorval’ by Ethel Wilson. G is for GLADYS HUNTINGDON. My copy of ‘Madame Solario’ is sitting on my bedside table, and I hope it won’t be too long before I to find the time read it. H is for HOSTAGES TO FORTUNE by Elizabeth Cambridge was one of the best books that I read last year. I is for INDIA. 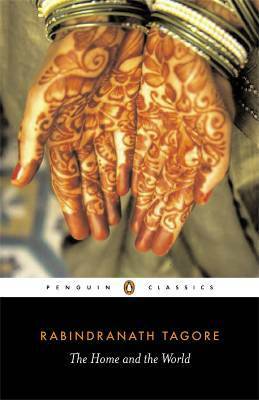 I loved following a young woman’s journey to India in ‘The Far Cry’ by Emma Smith. J is for JACQUELINE MESNIL-AMAR. My kind of generous Virago Secret Santa sent me two Persephone books from my wishlist, and her memoir ‘Maman What Are We Called Now?’ was one of them. K is for KAY SMALLSHAW, author of ‘How to Run Your Home Without Help. It’s a book I would love to read, to remind me of some of the changes that my grandmother lived through. L is for LIBRARY. I read a library copy of ‘The Village’ by Marghanita Laski, I aspire to a Persephone copy, but I have an elderly hardback rescued from a bargain bin for now. 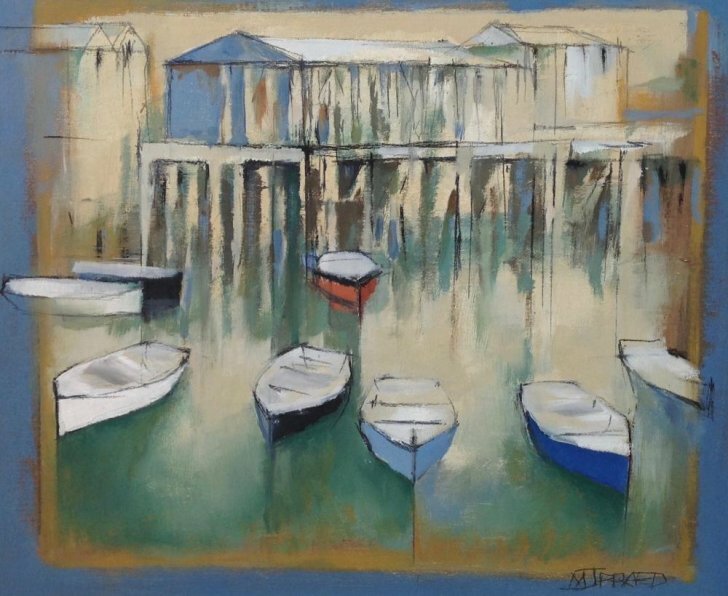 M is for MARINA by Monica Dickens. The heroine’s name was inspired by Tennyson’s poem. P is for PAPER. Persephone books are printed on lovely, thick paper. Q is for QUEEN ELEANOR. 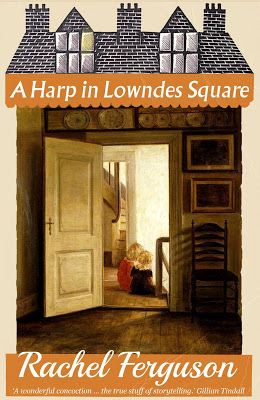 She appears in the second of the pair of novellas by Mrs Oliphant that Persephone published a few years ago. R is for RUTH HOLLAND. Susan Glaspell tells her story in Fidelity, and, if you haven’t already, you really must find a copy and read it. S is for SUFFRAGE. ‘No Surrender’ by Constance Maud is a passionate account of the suffragette movement written by one who was there. It hit me emotionally, and it taught me a great deal that I hadn’t known. T is for TIRZAH GARWOOD. The Man of the House bought me her autobiography – ‘Long Live Great Bardfield’ for Christmas. I was so pleased, because I have read so much praise for this book. U is for UNREAD. My copy of ‘Miss Buncle’s Book’ by D.E. Stevenson has been sitting waiting to be read for a long time. The right moment hasn’t come, but I’m sure that it will one day. V is for VERSE. The first novel in verse that I read was ‘Lettice Delmer’ by Susan Miles. I doubted that such a book could hold me, but I put my trust in Persephone and I found that it was utterly compelling. W is for WOMAN ABOUT THE HOUSE from’Tell it to a Stranger’ by Elizabeth Berridge. It’s an odd little story, but it still speaks profoundly. Y is for YOU MUST LOOK INSIDE .The dove-grey covers make books look alike, but the endpapers within, chosen to match the period and the style of each one, highlight the differences beautifully. I’ve chosen a few favourites to illustrate this post. Z is for ZINNIA, the very last flower in the index of ‘Gardener’s Nightcap by Muriel Stuart. Now that there are 125 books in the Persephone list it’s impossible to fit every gem into an A to Z. So please tell me, which books and authors you couldn’t have left out, which are your particular favourites, and which are you most looking forward to reading? A is for ALAIN-FOURNIER’S LOST ESTATE. It’s a lovely mixture of book, biography and travelogue, and it’s still available on BBC iplayer. 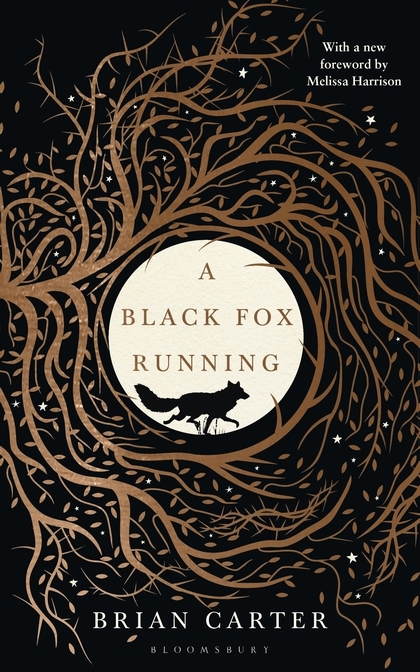 B is for BLACK FOX RUNNING by Brian Carter. This lost classic of nature writing looks wonderful, and I’m planning to read it very soon. C is for CINEMA PARADISO. I was sorry to lose LoveFilm, but this is much better for the old films and the foreign films that are much loved in our house. D is for DUSTY IN MEMPHIS. Not the album, a song by the Dreaming Spires that has been stuck in my head lately. E is for EXHIBITION. 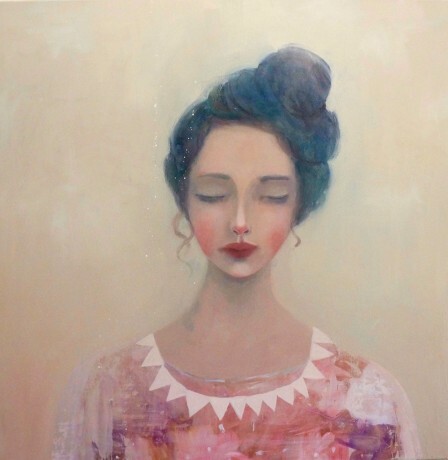 It’s been lovely to see Kristin Vestgard at the Cornwall Contemporary Gallery and Catherine Hyde at the Lighthouse Gallery again. F is for FRANZISKA. I just have one sleeve to knit and then I’m done. G is for GLADYS HUNTINGTON. ‘Madame Solario’ is one of the books I’m hoping to read over the Christmas break. H is for THE HAPPY READER. I’d dropped my subscription, but Annabel convinced me that I should pick it up again. J is for JAY GRIFFITHS. I love her opening piece in the Little Toller woodland anthology ‘Arboreal’ and I think I’m going to be looking more of her work. K is for KNITTING NEEDLES. I realised that I had far too many and that I hadn’t used the long straight ones for quite some time; so I paired them all up and threw them in a charity shop bag. L is for LESLEY BLANCH. 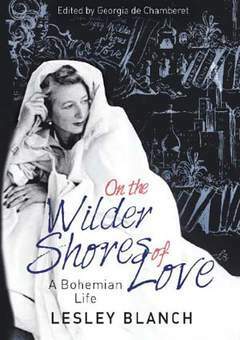 I was delighted when the Man of the House found a copy of ‘On the Wilder Shores of Love in a charity shop and brought it home. M is for MOTHS – something that every knitter dreads. I’ve lost a cardigan, I’ve saved a jumper, and I’ve ditched a wicker storage chest. N is for NATASHA KHAN – better known as Bat for Lashes – is a genius, and I have played ‘The Bride’ so much recently. P is for PLAYLIST.I love the appearance of my ‘best of the year’ playlist on Spotify. It always reminds me of something lovely that I haven’t heard nearly enough. Q is for QUEENS’ PLAY. My second Dunnett is well underway, and it’s still love. R is for ROOF. It’s lovely to be going into the winter with a brand new roof, and not having to worry nearly as much as we did last year when the weather turns stormy. S is for SARAH EMSLEY, who has just launched a new series – ‘Youth and Experience’ – celebrating ‘Northanger Abbey’ and ‘Persuasion’. T is for TIDE TIMES. We can look out of the window, but I need to buy a little yellow book showing tide times and heights for the new year so that we can plan ahead for beach walks and know when the biggest high tides are coming. U is for UNDER THE GREEENWOOD TREE. The next book in my chronological re-read of Thomas Hardy is ready and waiting. V is for VASS. 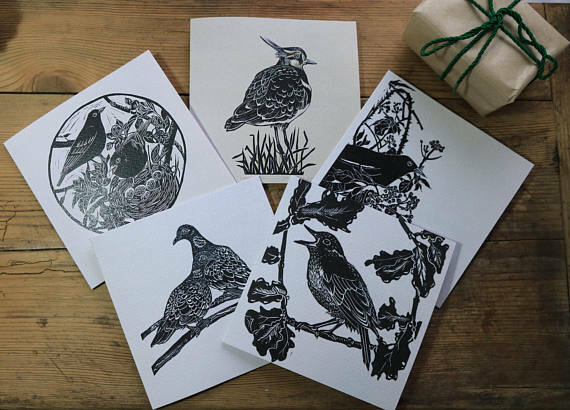 I bought a set of Deborah Vass’s cards for my godmother, and I am sure she is going to love them. W is for WATER. 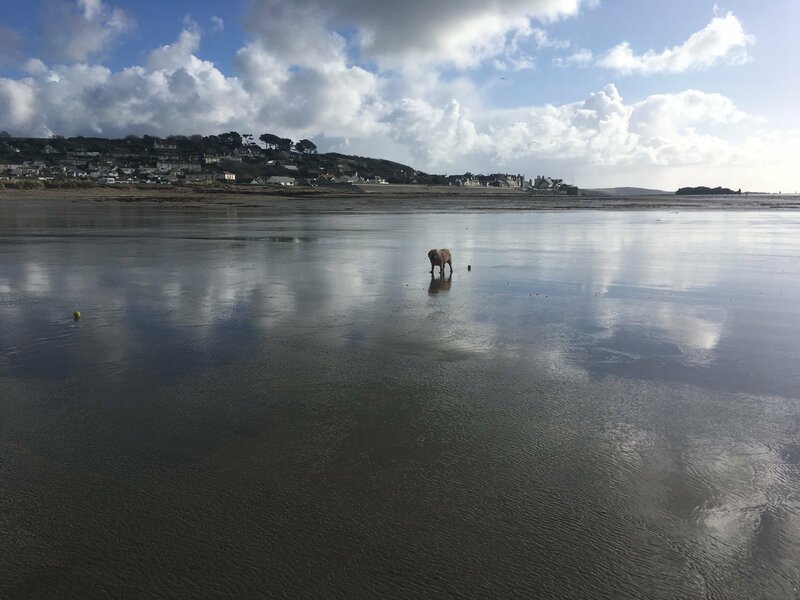 I thought that I’d taken a fairy standard ‘happy dog on a beach’ picture, until I saw the sky reflected in the surface water. X is for XAN BROOKS. I’ve been disappointed with three of the books listed for the Costa First Novel Award, and I’m hoping that ‘The Clocks in the House All Tell Different Times’ by Xan Brooks will break my bad run. Y is for YOKED SWEATERS. They seem to be everywhere at the moment, I’ve never knitted one, but maybe it’s time. I’m leaning towards Arboreal, and I’m thinking that I’m reading a book with the same name and maybe that’s a sign. Z is for ZOE OLDENBOURG. I have been meaning to read ‘The World is Not Enough’ for so long, and I think – I hope – its time has finally come. A is for ALIAS GRACE. 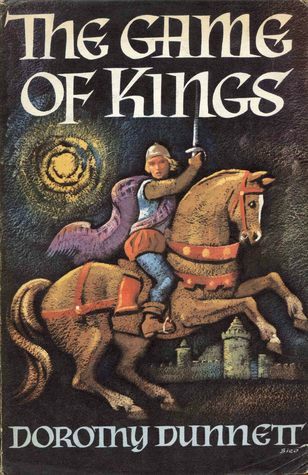 I was planning a re-read before the television series, I was sure I had a copy but LibraryThing told me I didn’t. I have a library copy for now but I suspect I will need to buy a copy to keep. C is for COLOUR-WORK. I’ve really improved by technique knitting Franziska. I can’t do the two-handed thing that many people recommend, but holding two yarns over two different fingers is working well for me. D is for DOCTOR THORNE – my next Trollope! E is for ELIZABETH TAYLOR. The Virago Book Club has finally picked I book that I have, that I haven’t read and that I want to read – In a Summer Season by Elizabeth Taylor. F is for FRANZISKA – growing slowly and steadily. H is for HOME IMPROVEMENTS. We’re waiting for scaffolding to go up and works to begin on our roof. I is for IT’S GONE. I’ve been hacked more than once, so the email address I used for my old home on the internet is no more. J is for JETTISONING a bag of books and a bag of clothes I hadn’t worn in a long time at a charity shop last Saturday. K is for KNITTING ALONG. 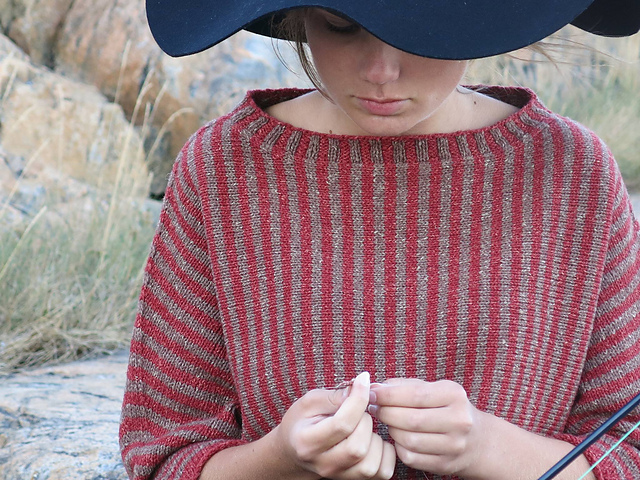 After two blankets – which wouldn’t have worked in our house and, though they were beautiful, I know I wouldn’t have enjoyed knitting – Marie Wallin’s Fair Isle Club is knitting a garment. I couldn’t resist signing up. L is for LOVE HENRY JAMES. A wonderful season of programmes on Radio 4 has inspired me to do some reading and re-reading. M is for MIND THE GAP. We put the dog blanket that we brought home from my mother’s nursing home down next to Briar’s chair. 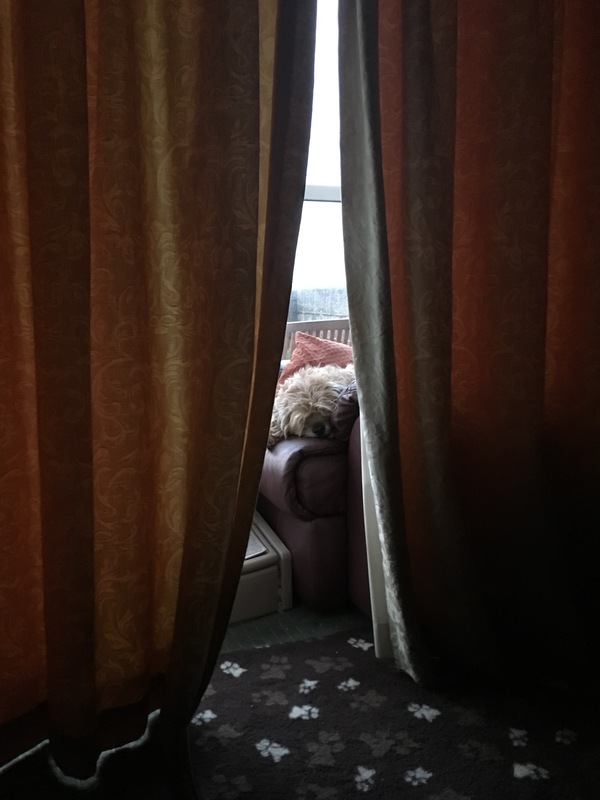 She seems happy to have it there, and it holds the curtains back a little so she can see out. O is for O’FARRELL. There was a wonderful piece about Maggie O’Farrell and her soon to be published memoir in The Guardian yesterday. P is for PATRICIA WENTWORTH. ‘The Chinese Shawl will be my next Miss Silver mystery, and it’s one of the few that I own. 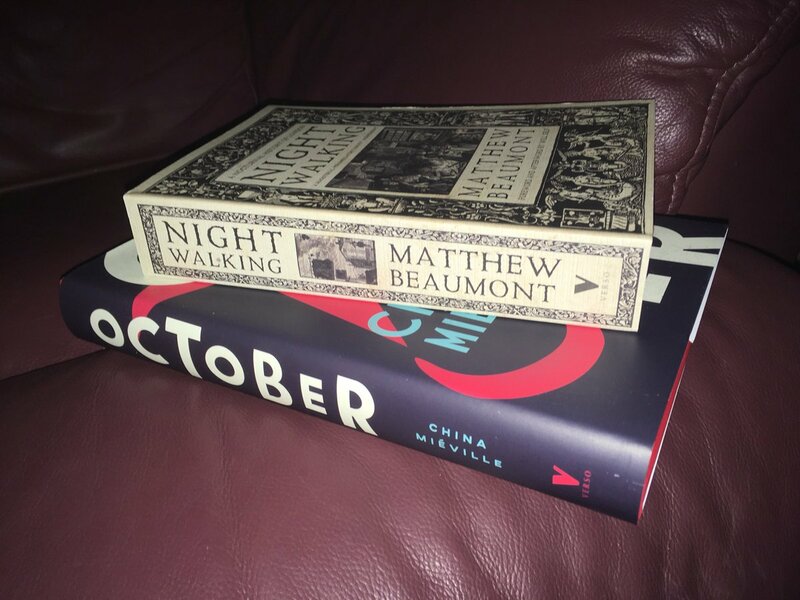 Q is for QUEEN’S PLAY – my next Dunnett! R is for ROWAN. The new autumn/winter magazine is the best for some time. 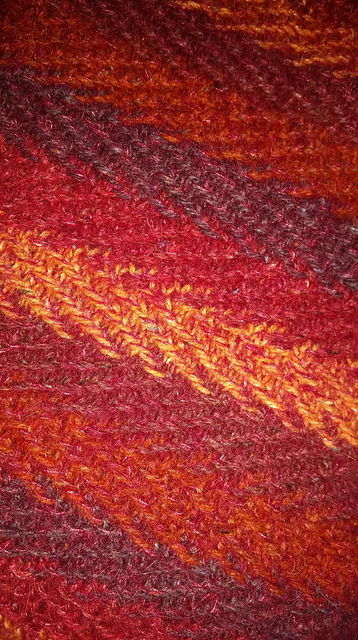 It feels like a return to old-school Rowan values; there are two things I want to knit right now and lots of other interesting possibilities. T is for THIRKELL. The Man of the House often spots VMCs I already own in charity shops but this week he found one I didn’t have – ‘Northbridge Rectory’ by Angela Thirkell. U is for UNCHAINED MELODY by Lykke Li – I love this! V is for VICTORY. The current birthday-to-birthday Scrabble tournament ends next Saturday and – unless we Up the rate of play considerably – I have a winning lead. W is for WAR AND PEACE. Reading five or six chapters a day and plucking a quotation from each chapter has proved to be the perfect way to read for me. I’m nearly half way through now. X is for EXHIBITION. I couldn’t place John Armstrong – subject of this autumn’s exhibition at Penlee House – but when I looked him up I recognised one of his paintings from the cover of a Virago Modern Classic by Margaret Atwood. Y is for YOU AND I by Tori y Moi – another new addition to the soundtrack of my life. Z is for ZOLA – an author I still have to fit into my 100 Years of Books project. A is for ALEXANDRE DUMAS. 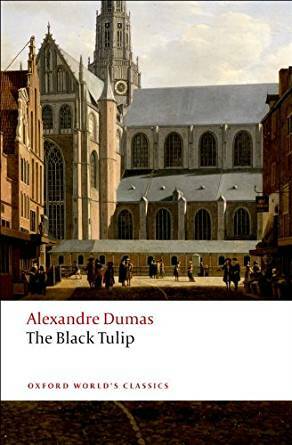 I have ‘The Black Tulip’ lines up to fill the 1850 slot in my 100 Years of Books project. B is for BLANKET. Briar usually takes a while to get used to knew things, but she sat on the new blanket I bought for her visits to my mother’s nursing home room the first time I laid it out. C is for CELEBRATION. I’m delighted that Lory will be hosting another celebration of Elizabeth Goudge’s birthday on 24th April. D is for DARE. I made it to the end of the TBR Dare for the very first time! E is for ELIZABETH VON ARNIM. Author of the Month for April in the LibraryThing Virago Modern Classics Group. F is for FOUR BAGS left the house last time we did a charity shop drop. G is for GREEN PENGUINS. I picked up eight books, including titles by Anthony Berkeley, Mary Fitt and Elspeth Huxley, in my local second-hand bookshop. Someone with very similar taste to me – and I think I know who – has been thinning out their shelves. H is for HAIR. It’s that time of year when we start thinning out Briar’s winter coat, putting the hair out in the garden, and then watching birds fly off with their beaks full. I is for IN PROGRESS. My easy knitting project and my more complex knitting project are both close to completion, so expect a knitting post or two very soon. J is for JUNE. Margaret Kennedy Day will be happening again on June 20th. More details will be coming soon. K is for KAFFE FASSETT. I love the pattern on the cover of the new edition of Vogue Knitting, but with Felted Tweed held double it would be quite an investment. L is for LYMOND. I’m smitten, I was tempted to pick up ‘Queen’s Play as soon as I put ‘The Game of Kings’ down, but I decided I shouldn’t rush and that I really should write about one book before I start the next one. M is for MARGARET LAURENCE. Author of the Month for June in the LibraryThing Virago Modern Classics Group. 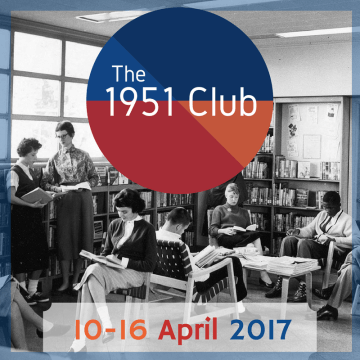 N is for THE 1951 CLUB. I have books by Margery Sharp and Howard Spring lined up. O is for OXFORD WORLD CLASSICS. 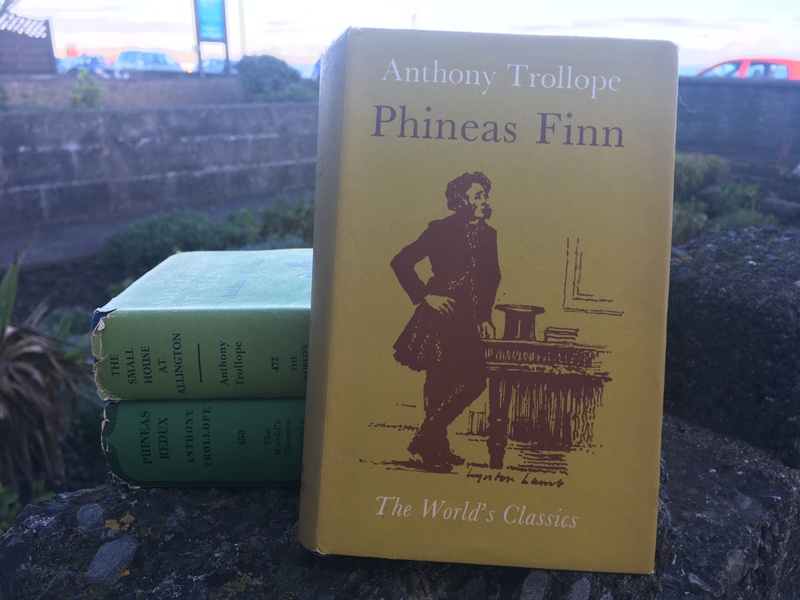 The new editions are lovely, but at the moment I am smitten with older editions that I picked up in a charity shop a week or so ago. P is for PUZZLED. We ordered Briar some steps, to help her get into her chair now she’s getting a little older. When they arrived we couldn’t work out how the pieces could fit together. When I rechecked the packaging I found some brief instructions and realised that we had been sent a dog gate instead of steps. Q is for QUIET – but not as quiet as it usually is this time of year, as we have major building works two houses away. R is for READING LIBARY BOOKS AGAIN now that the TBR Dare is over is a lovely prospect, but I’m going to be very selective now that I’ve been reminded how many wonderful books I have in the house already. S is for SPIN. The Classics Club Spin gave me ‘The Beth Book’ by Sarah Grand. I’m not thrilled but it is a book I want to read and an author I’d like to get to know. T is for TINDERSTICKS. I hadn’t listened to them for years but when I heard The Waiting Room I was smitten. U is for UP IN THE ATTIC is where I have to go to do some clearing out now that spring is here. V is for VISSER. 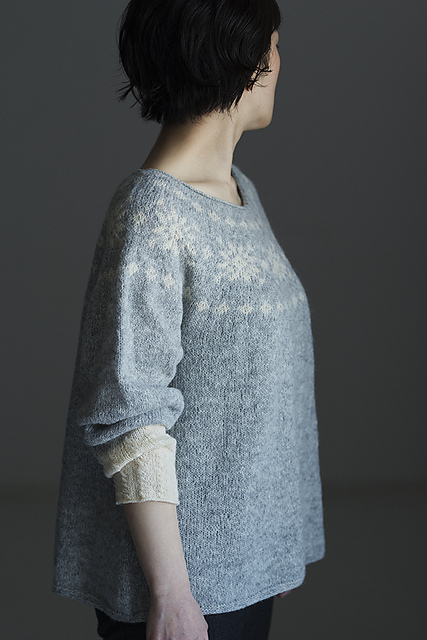 I love this design, and I hope it won’t be too long before I can start to knit. W is for WILLA CATHER. Author of the Month for May in the LibraryThing Virago Modern Classics Group. X is for (E)XHIBITION. A Casket of Pearls is going to be hard to follow, but a summer exhibition of works by Stanhope Forbes at Penlee House is very enticing. Z is for ZZZZZZZZZZ. 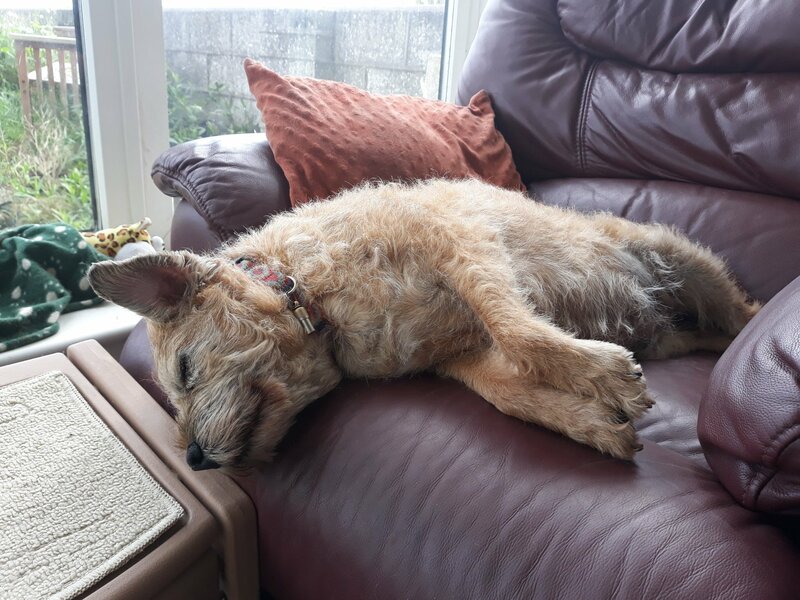 Border terriers are very good sleepers …. A is for AUTUMN. The weather has definitely turned here on the Cornish coast, and the evenings are drawing in. B is for BENJAMIN CLEMENTINE. His own music has passed me by, but I was very taken by his selection of tracks for 6 Music’s Playlist last Sunday. C is for COUNTRY HOUSES. I’m moving up the library queue for a copy of Adrian Tinniswood’s ‘The Long Weekend: Life in the English Country House Between the Wars’ – I’ve progressed from 19th to 11th. D is for DOROTHY HOWELL. I was delighted to be introduced to her by this post. E is for ELIZABETH BERRIDGE. When I realised that I hadn’t read a Persephone Book or a collection of short stories for the year I knew that I had to take action. I picked up Elizabeth Berridge’s collection of stories from the 1940s – ‘Tell it to a Stranger’ – and I am so pleased that I did. F is for THE FURROWED MIDDLEBROW PRESS is looking wonderfully collectable, with books by Frances Faviell, Rachel Ferguson and Winifred Peck soon to re-enter the world. G is for GARTER STITCH. I have the yarn line up to knit a very simple – and very classic – jacket. I is for IN PROGRESS. My major knitting project of the moment is a lovely sweater names Scilly. J is for JEAN RHYS READING WEEK is in progress and, though it wasn’t the right time for me, it is lovely to see so many people reading her books. K is for KNITTING ALONG. The Picture This KAL is turning many knitters’ images into lovely knitwear. My own inspiration was bookish …. 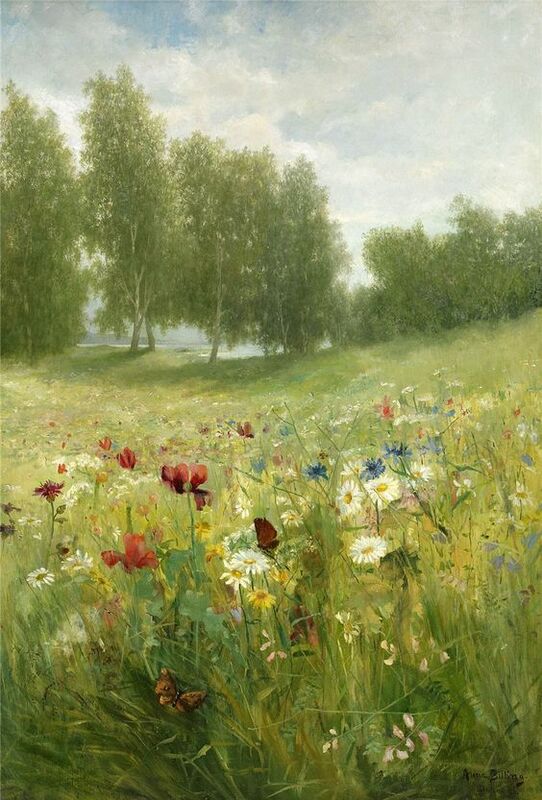 L is for JOHN LAVERY. After reading about him in Jane Harris’s ‘Gillespie and I’ I spotted his autobiography in the library’s art collection. It looks very promising. M is for MARY STEWART. 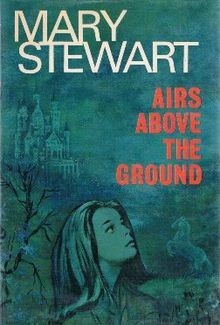 Celebrations for her centenary begin on Saturday, and I shall be reading ‘Airs Above The Ground’. N is for THE 1947 CLUB is coming soon and, though I seem to have more books from 1946 and 1948, I have found a couple of interesting possibilities. O is for ONLY FOUR MORE BOOKS to the end of Dorothy Richardson’s Pilgrimage! Q is for THE QUINCUNX by Charles Palliser. I picked up my copy from the shelf a few days ago because I think that the time and the season to read it is coming very soon. R is for THE REMEDIES by Katharine Towers. This lovely little book of verse caught my eye in the library last weekend. S is for SQUIRREL. Since their favourite tree in the park was cut down the squirrel population has spread out, and we have even seen one in our little sea-front garden. 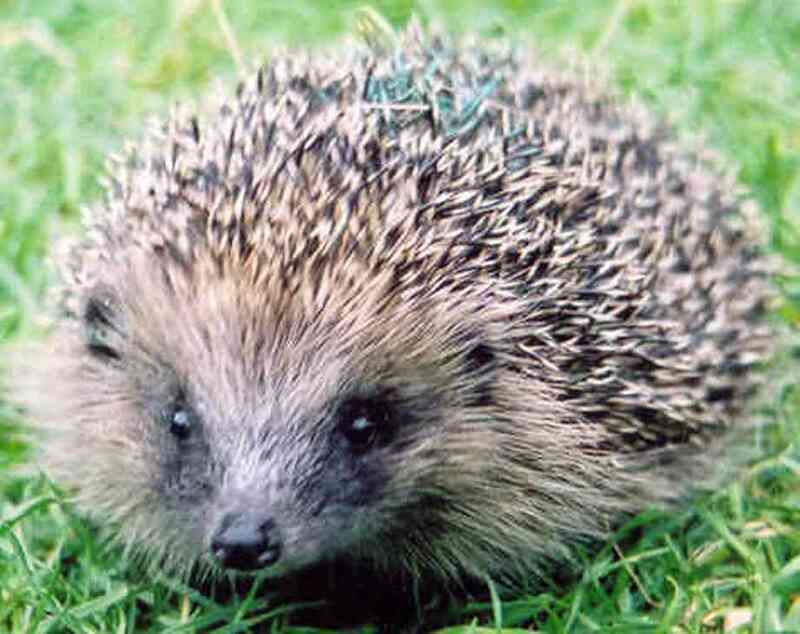 It ran along the top of the bench, jumped on to a spade that the Man of the House had left stuck into the ground, the along the wall and over into the garden next door. T is for THYNNE. I didn’t really need to find another must-read author from the Golden Age of crime fiction but I have, and her name is Molly Thynne. 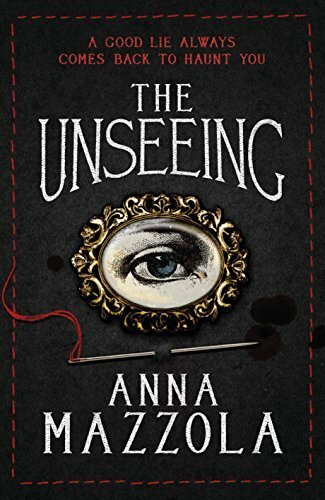 U is for THE UNSEEING by Anna Mazzola. It’s sitting on my bedside table, and it looks like just the right book for this time of year. V is for VIRAGO SECRET SANTA. I know it’s early but I have to let you know that your new Virago Elves – Cate and I – will be starting the ball rolling next month; so do keep an eye on the LibraryThing Virago group. Old hands and newcomers will all be very welcome! W is for WOOLLY DOZEN. 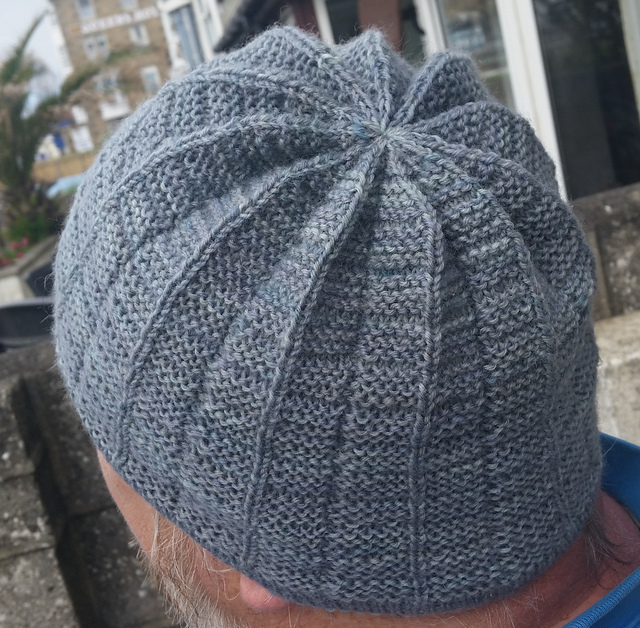 I’m knitting my tenth hat in between other projects, and one day – when I have my dozen – I’ll make sure they are all photographed and give them a post of their own. X is for EXHIBITION. Compass’d by the Inviolate Sea was wonderful, and Penlee House is wise to follow that with something else very different and interesting for quite different reasons. I’m looking forward to visiting Wilhelmina Barns-Graham: A Scottish Artist in St Ives. Y is for YOUNG IN ALL THE WRONG WAYS by Sara Watkins: a lovely recent addition to my life’s soundtrack. Z is for ZINNIA. I don’t think I’ve ever mentioned that Zinnia is Briar’s pedigree name. Her breeder chose a different letter of the alphabet to name each litter of puppies.